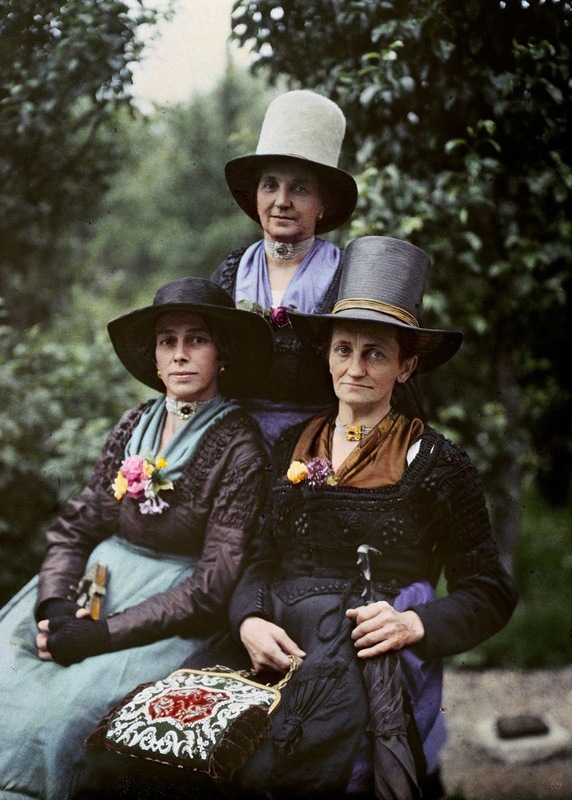 Three women living in an alpine village near Salzburg, Austria, pose for photographer Hans Hildenbrand in a 1929 autochrome. 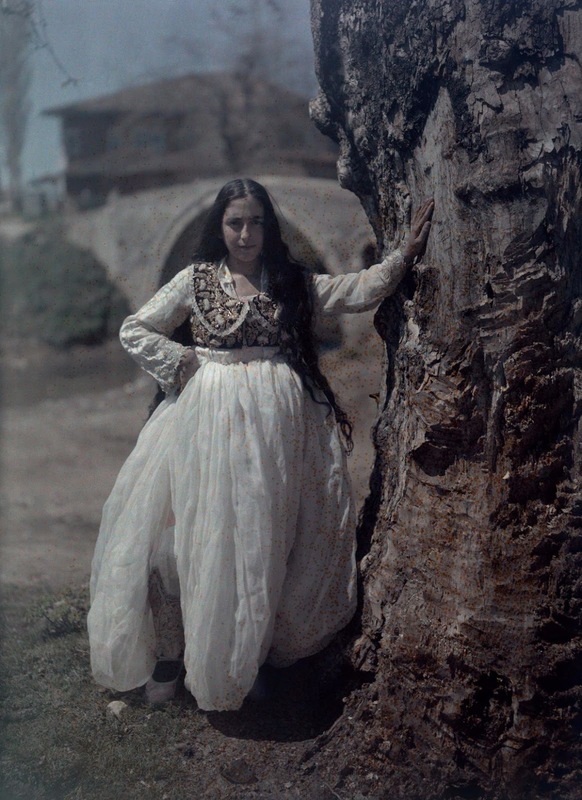 A Roma woman in Tirana, Albania, poses wearing traditional garb in this 1928 autochrome by Luigi Pellerano. 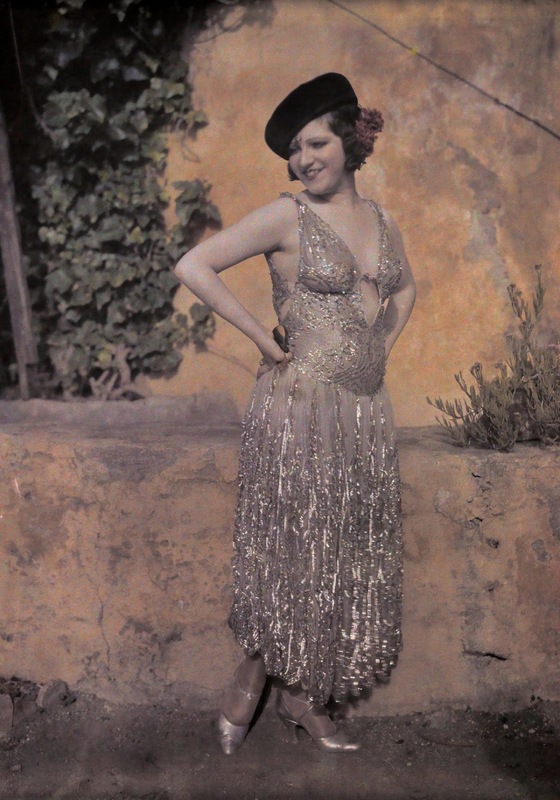 A dancer on Tenerife Island, part of Spain’s Canary Islands, poses in her costume in this July 1929 autochrome by National Geographic staff photographer Wilhelm Tobien. A woman in Brittany, France, leans against a stone wall in this early 1923 autochrome by Jules Gervais-Courtellemont. In this November 1931 autochrome by Wilhelm Tobien, two women from the Netherlands’ Zeeland province pose with their daughters. 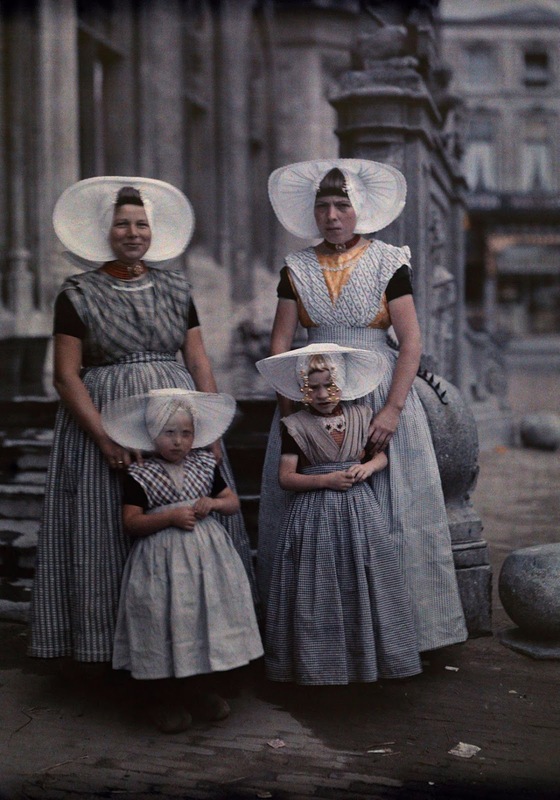 Their fan-shaped bonnets are hallmarks of the region’s folk costume. 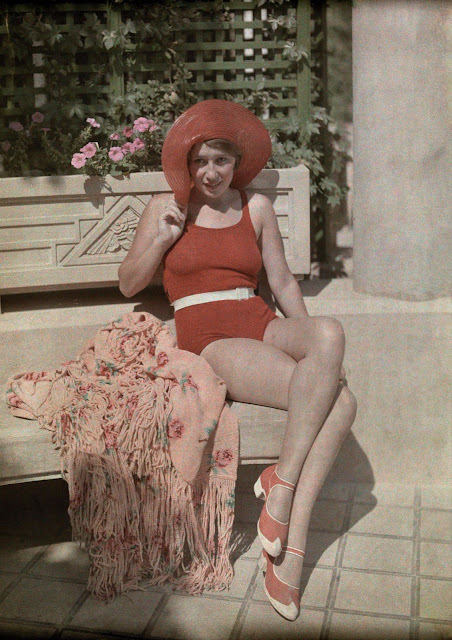 A woman in Bucharest, Romania, sits on a bench wearing a red hat and bathing suit in a January 1936 autochrome by Wilhelm Tobien. 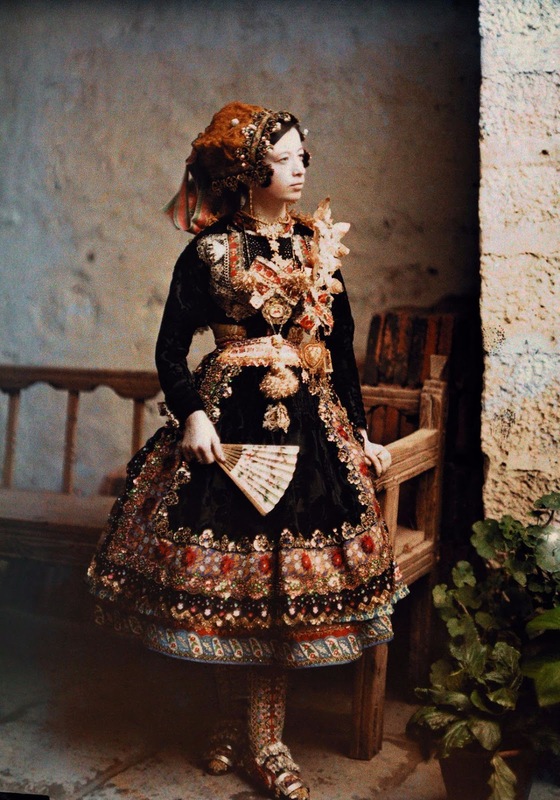 A girl in Lagartera, Spain, poses in traditional costume for an informal portrait in this 1914 autochrome by Jules Gervais-Courtellemont. 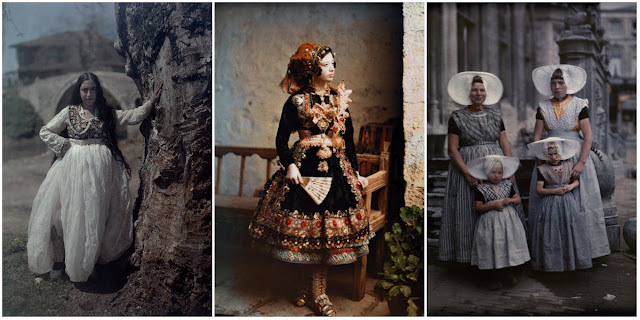 Lagartera is renowned for its centuries-old tradition of elaborate embroidery. 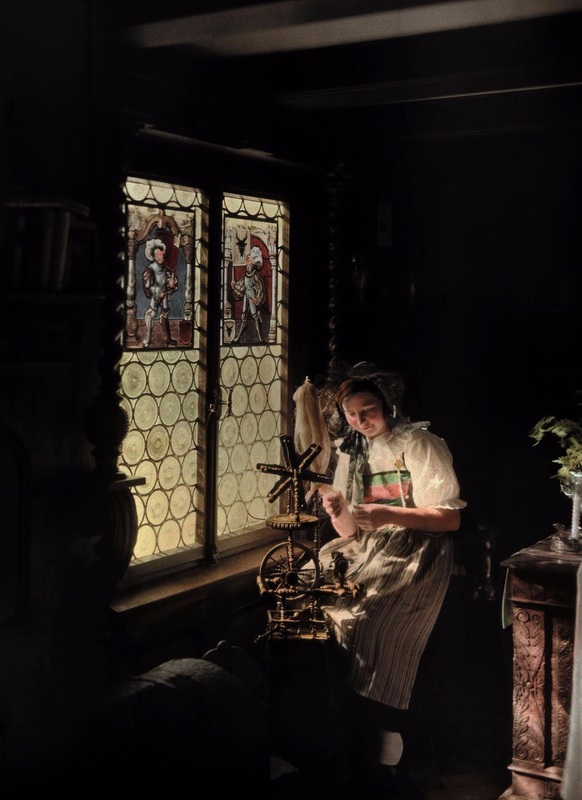 A woman in Lucerne, Switzerland, works with her spinning wheel in an autocrome taken by Hans Hildenbrand in early 1932.